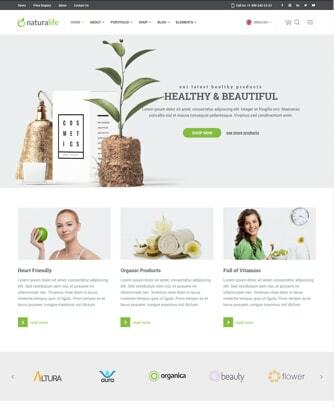 NaturaLife is a highly customizable WordPress theme created for all kind of health, organic food, and beauty websites. 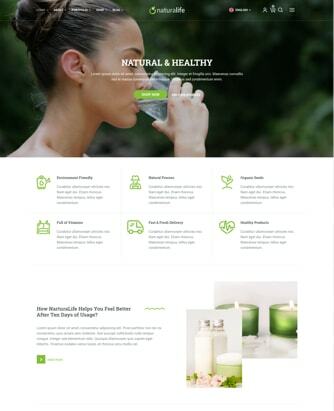 Finish your project much faster with NaturaLife’s multiple fully customizable home pages and many sub pages. Install, customize, create easily with the included powerful tools without touching a code — with no extra cost. 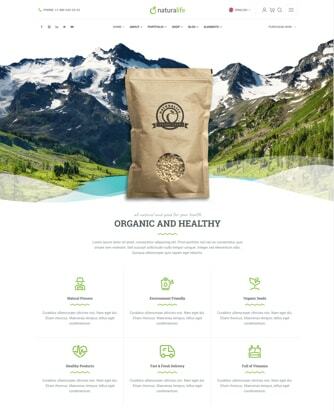 Use one of many header or footer styles of NaturaLife or create your custom one. 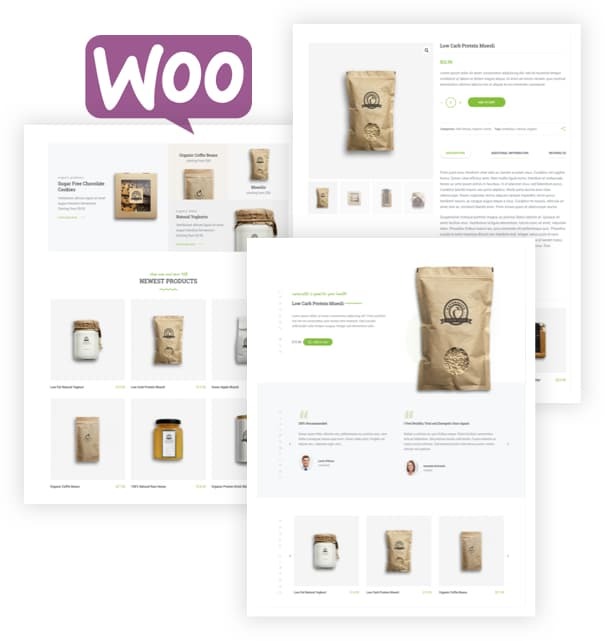 Sell your products online with WooCommerce plugin. 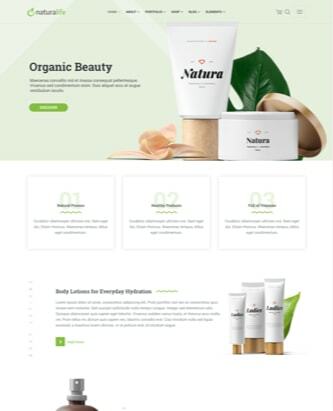 NaturaLife is not only supports the plugin it also promises a professional looking online store. 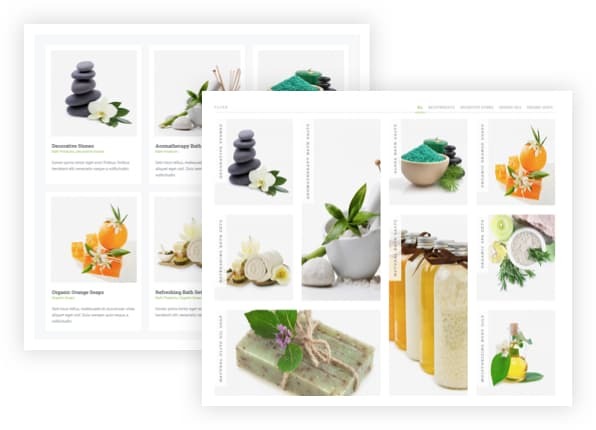 Highly customizable portfolio tools that let you create beautiful portfolio pages, catalogs and lists. 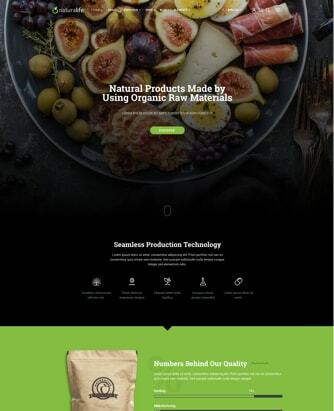 Create mobile friendly websites. 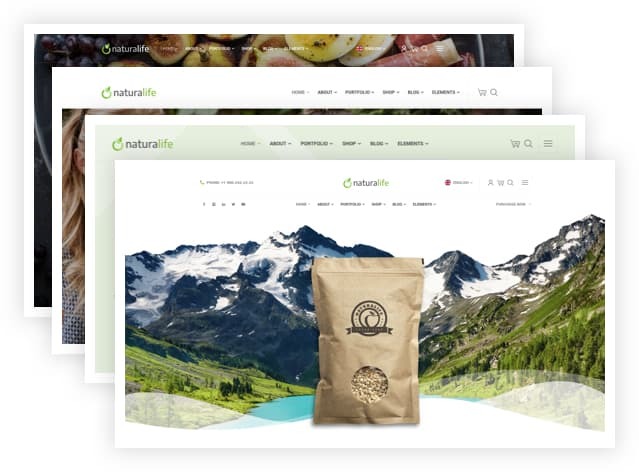 NaturaLife has been developed to look and work perfectly in all type of screen sizes and devices. If you would like to sell your products online via various payment systems or mail order, you can install the free WooCommerce plugin. Customize all colors, backgrounds, images, fonts, styles, layouts and create your own style by using our talented theme customizer options. 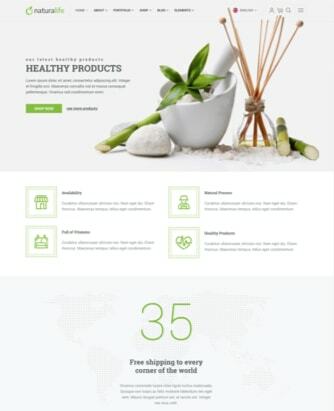 The theme comes with full support for Elementor drag & drop page builder. 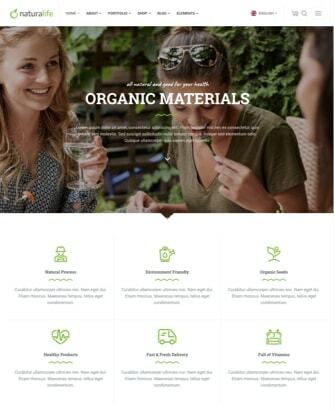 Create complex page layouts easily by using the plugin. Elementor is now even much powerful with our exclusive custom add-ons. Almost every element of the design is optional or customizable with NaturaLife”s exceptional theme options. Additionally, powerful tools included such as custom fonts, performance optimizer, built-in 404 and maintenance pages. Start your projects faster with the one click demo installer. Just select a demo you like and hit the install button. That’s it! Use any font you want including, Google, Typekit or self-hosted. Change the fonts sizes of headings, body texts, header, footer and other parts. 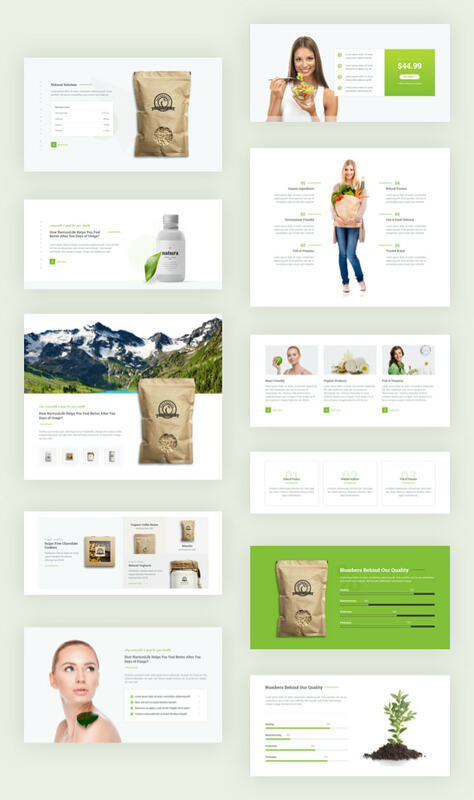 With the extended individual page design options, you can customize global design options for each page or post independently. 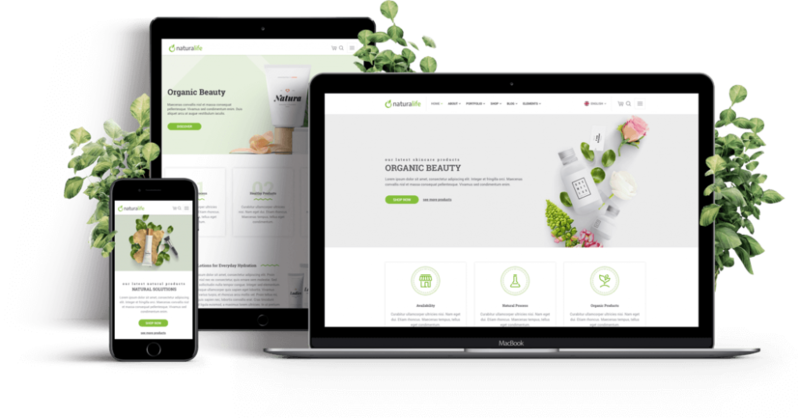 Theme comes with many useful shortcodes such as pricing tables, carousels, tabular contents, buttons, carousels… Use them wherever you need. You can translate your website into your language by using the provided .po/.mo files. The theme also fully supports WPML and Polylang which are the plugins lets you run multilingual websites. NaturaLife comes with many handy custom widgets. Contact Info, Recent Posts, Popular Posts, and Expandable Category List are just some of them. 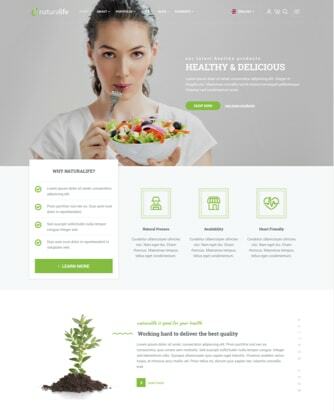 With our detailed online documentation and tutorials that you can find almost every detail about the theme without having time loss. You can use NaturaLife for any RTL language like Arabic, Hebrew, Persian or any other right-to-left languages. The theme has been carefully developed SEO in mind. It also supports popular SEO plugins. With the ease of RT-Framework and powerful documentations, you’ll discover how it works in no time. 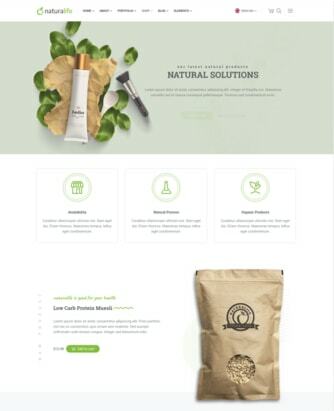 Thanks to the extended theme settings, customizer and the page builder integration, no coding skills are required to create a website like the demo site or customize it. 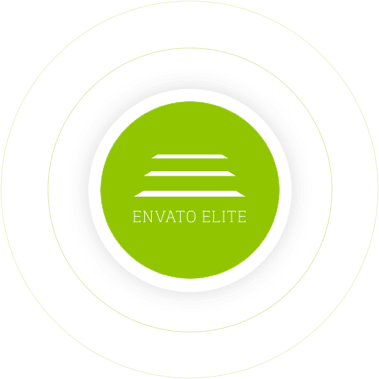 You can easily update the theme with the Envato Market plugin with just a click. You are welcome to use our support forum when you need assistance as our thousands of other clients do.